Hubby was so excited for St. Patrick's Day last year. I promised I would make him a gluten free corned beef and cabbage meal. He dreamed and drooled about the meal and the sandwiches he'd surely be eating for a week. Until the meal flopped and the meat was tasteless. Waa, waa, waa (that's the sound of a sad trombone). So this year, in the interest of research and in order to redeem myself, I brought St. Paddy's Day a little early to the Frog house. The result can be found here on Her View From Home. Was it good, you ask? You'll just have to hop on over and find out! 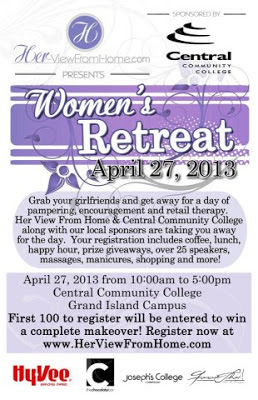 And while you're there check out the awesome, first annual Her View From Home Women's retreat. Next month will be HVFH's first birthday! 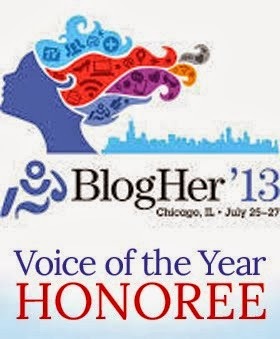 I feel so honored to have been a part of this ground breaking women's website during it's first year. I was even more honored to have been asked to speak at the retreat. I am going on what I know, and that is grief. Yes, riveting and fun, I know, but I promise it will be a good talk. If you are in the Midwest, please consider attending the retreat. There will be lots of good speakers on everything from marriage to home improvement to exercise to wine tasting. There will be pampering, shopping, and giveaways - bring a friend, a sister, or your mom and be prepared for a really fun and informative day.